The UN Security Council has extended the arms embargo on Libya for another year (File Archive photo). 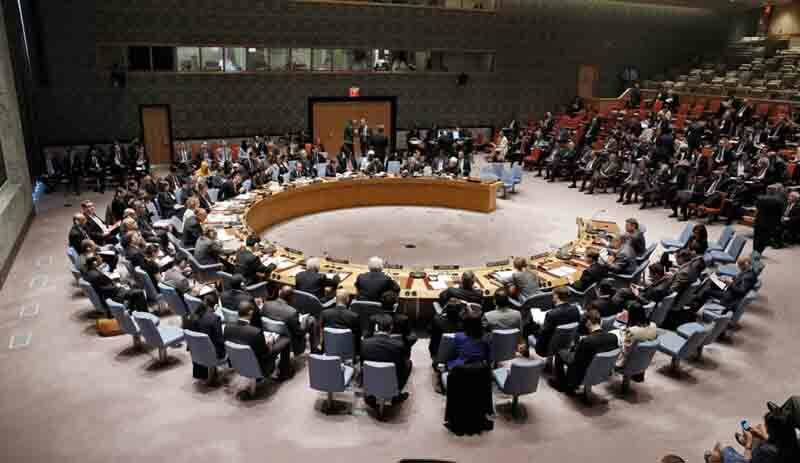 The UN Security Council has passed a resolution (2420) extending the Libya arms embargo for another year. 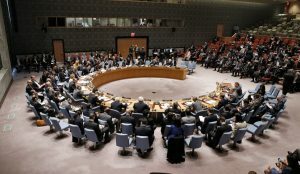 In a statement released today, the UN stated that ‘‘recalling its resolutions 2292 (2016) and 2357 (2017) concerning the strict implementation of the arms embargo on the high seas off the coast of Libya…mindful of its primary responsibility for the maintenance of international peace and security under the Charter of the UN… and reaffirming its determination that terrorism, in all forms and manifestations, constitutes one of the most serious threats to peace and security..(acting under Chapter 7 of the Charter, the Security Council has decided) to extend the authorisations as set out in resolution 2357 for a further 12 months from the date of this resolution’’. The decision has requested that the Secretary General report to the Security Council to report on the implementation of the resolution within 11 months. It will be recalled that both the Tripoli-based Faiez Serraj-led Presidency Council/Government of National Accord as well as the eastern-based authorities have called for the international community to lift the UN arms embargo. The rational for this call is that both the western and eastern Libyan authorities want to create an army and police force to defend against crime, people and goods-smuggling as well as to fight terrorism and defend Libya’s porous land and sea borders. Critics, on the other hand, feel that Libya is still unstable and politically disunited and that selling arms to either side would tilt the delicate balance between the two and could lead to increased bloodshed. They feel that an effort should first be made to collect the millions of weapons widely dispersed amongst militias and civilians prior to Libya importing any news weapons. However, the international community is also being criticised for turning a blind eye to arms that had and are continuing to be delivered by various states to their Libyan allies – in spite of the UN arms embargo.